Phillip is a 61 year old man who resides at the Mary Campbell Center in Wilmington, DE. We featured Phillip in a blog in October of 2017. I had the opportunity to work with Phillip in May of 2017 and recommended Dynamic Seating components at the knees, back, and head. I wanted to catch up with his physical therapist, Diana Hoopes, to see how he is doing. Diana graduated in 1975 from the University of Baltimore and later received her master’s degree in Special Education. Diana is retiring soon to spend time with her 11 grandchildren! She has worked at the Mary Campbell Center for many years and loves what she does. 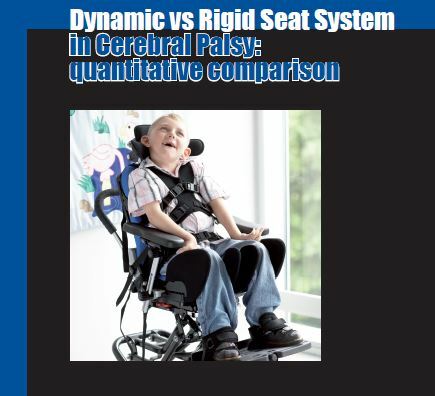 Our last two blogs explored some of the published research that has been done on Dynamic Seating, demonstrating the effectiveness of this intervention for many of the clients using wheelchair technologies. This blog will review some additional research that has been presented at Wheeled Seating and Mobility conferences such as the International Seating Symposium, but has not been published. Although this information is not in the literature, it can still be helpful in directing our interventions. Supplier JJ Waldrop has worked for National Seating and Mobility in Richmond, Virginia for about 5 years now and has been using Dynamic Seating for even longer. He often works with Suzanne Eason, OT/L at St. Mary’s Home. JJ was kind enough to spend some time with me on the phone recently and we had a great conversation!